I’ve been meaning to write something about Country Music for a while now especially as it’s probably the newest genre addition to my iTunes in a while. If you look backto my 2011 Grammy articles you’ll notice that I was writing about albums I hadn’t heard yet. Eventual Album Of The Year winner Arcade Fire’s The Suburbs may have stolen my heart for the weeks following the show but there was something else that has stuck with me ever since. I may not have been sold on their album Need You Now after my first listen, I mentioned at the time that every song sounded the same as each other but soon I was obsessed with the title track. I was nearly 2 years behind the curve it seemed as the song was well on its way to becoming the biggest selling country song in digital history. There was something so unique about the way I enjoyed Need You Now, it’s a pretty simple song and the country twang that would usually put me off soon became familiar and warm. I wouldn’t say my whole musical world was blown open or anything, but I was certainly intrigued to go a bit deeper into the genre. It seems like the rest of the UK were open to it as well, as following that painful rendition of the song by Gary and Cheryl at the Queen’s Jubilee it seemed to stick around the top 20 for most of the year. It reached it’s peak position of 15 a few weeks after the performance, a mere 3 years after its original release. Lady Antebellum were probably the best entry point for someone like me, they are totally accessible from a pop standpoint, and they keep the country stereotypes I was wary of to a minimum. I suppose it’s because of where I’m from. The genre is so focused towards the American audience that founded it that the tropes we may find corny or awkward on a record never seem to go away. Talk of ‘firing up the truck’ or ‘downing my drink’ does grate on me but only in the same way that songs about ‘the club’ do in the dance pop genre. It’s a ‘lifestyle’ and those songs that reflect the south and how people live there simply don’t have the same traction over here. Looking at those few Country artists that have been able to crossover the Atlantic, Dolly Parton, Shania Twain, Taylor Swift they all share a similar strategy for pitching their music over here. Each has had success with big Pop hits, or pop remixes of their country hits. Last week Taylor Swift claimed the top spot on the UK album chart with her new album, which in spite of the fact that it’s a brilliant album did surprise me. Not since Shania in the late 90s has a Country artist bothered the top of the UK charts, but Ms Swift has done so by steering her career in a distinctly pop sounding direction. We Are Never Ever Getting Back Together may as well be a Katy Perry song the Max Martin influence is so strong, which is exactly why she’s been able to crossover in a big way this year. Follow up single I Knew You Were Trouble is an incredible slice of Dub infused Pop and just about the last thing most would have expected from country’s sweetheart. Is this considered cheating? Absolutely not. One listen to the big international hits from Shania’s Come On Over proves that there’s no shame in releasing big pop hits to find an audience on these shores. That album in particular went on to sell 3.3 million copies in the UK alone, the sort of numbers even Adele would be proud of. It’s about sewing that seed in the public’s consciousness that there is this otherworldly genre to be discovered just over the Atlantic. Much like those Shania fans who may have discovered Tim McGraw, Garth Brooks or the Dixie Chicks through her big pop hits, I’ve personally found myself enjoying a genre I never thought I would all because of Lady Antebellum’s big crossover hit. Now I have Jason Aldean, Carrie Underwood and Blake Shelton sitting alongside my usual albums in my iTunes library. It’s interesting how things have turned out. Are Britain ready for country? I certainly think we have been for a long time, especially given that the sounds of UK artists like Laura Marling and Mumford & Sons have so much country running through them. I’m not sure we will ever see a song called Truck Yeah topping the charts over here (honestly that is the name of a Tim McGraw song from earlier this year) but there are enough interested people for some quality music to make it onto UK radio. Country music is here, and somehow Cheryl Cole is partly to thank. 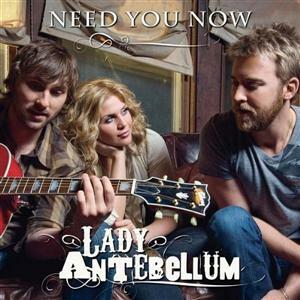 Tags: Country, Lady Antebellum, Need You Now, Shania Twain, Taylor Swift. Bookmark the permalink.